Home Anatomy Can Polar Bears Climb Trees? 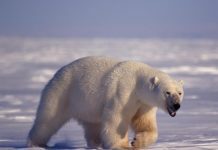 Polar bears have got quite many adaptations to survive in the Arctic. 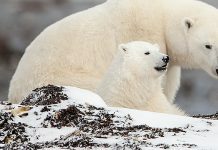 They can swim great distances; they can run pretty fast, they can tolerate the frigid Arctic weather—but the question here is; can polar bears really climb trees just like black bears, giant panda, or even koalas. It’s a question that demands a little explanation. Well, first you must know that the Arctic is a treeless land. There are some plants that grow in summer, but the land is almost exclusively free of trees. Now we’ll see how polar bears climb trees if they really do. Polar bears cannot climb trees for they are probably too heavy to lift their weight up into the trees. Besides, unlike American black bears or giant pandas the polar bear’s claws are not really adapted to climbing. 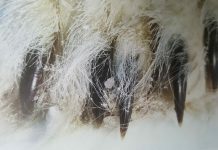 The black bear’s claws aren’t only relatively short, they are rounded too. It becomes generally comfortable for a bear to climb with rounded claws. 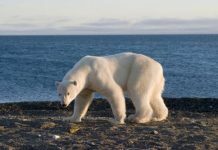 Although the polar bear’s claws resemble American black bear’s, they are not really curved (like black bear’s claws) which would otherwise aid polar bears in climbing. No polar bear let alone adult bear has ever been noticed climbing trees. And so, American black bears are expert climbers. It comes in handy for them because by doing so they can protect themselves from potential predators. Even polar bear’s closest cousins, grizzlies have evolved to get up into the trees—perhaps not as quickly as others do. Nonetheless, grizzles do not often climb trees. 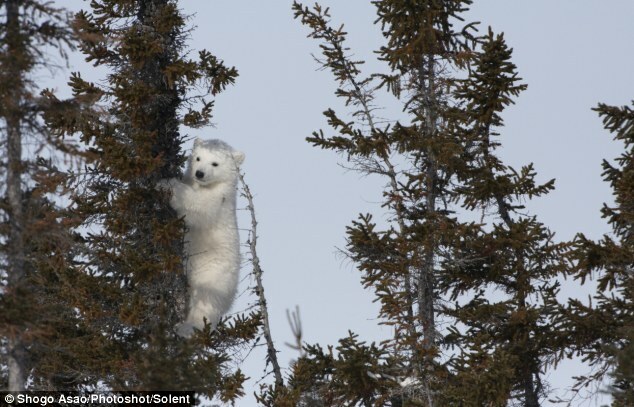 While it’s impossible for adult bears to climb, polar bear cubs can sometimes climb trees. 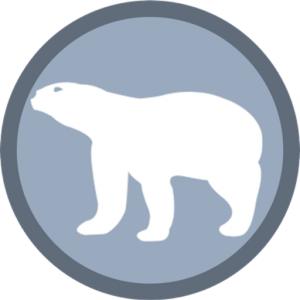 Can polar bears climb? Photo by Daily Mail. Polar bears don’t have the climbing abilities—there’s no doubt about that. American black bears are specialist climbers. They will climb either to purse prey into the trees or avoid from becoming one. Black bears also climb in order to hibernate. Polar bears, on the other hand, do none of these. They neither rely on arboreal species, nor do they hibernate in trees—in fact they don’t hibernate at all. Furthermore, polar bears do not need to climb to escape predators. 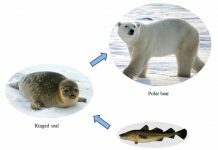 They are at the top of food chain in the Arctic. Therefore, it is logical to assume that polar bears’ inability to climb doesn’t in any way affect their lifestyle. 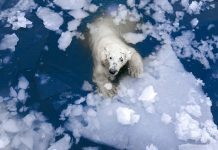 Polar bears are way different from koalas, giant pandas, or even American black bears in their behavioral adaptations.